December is really the time to look at next year's Super Sentai isn't it? I've been pretty critical about the franchise with the post-Go-Busters seasons until I started watching Kyuranger. Watching them and catching up was a chore at first but I was able to do it anyway. I feel like Kyuranger is a huge leap for Super Sentai. 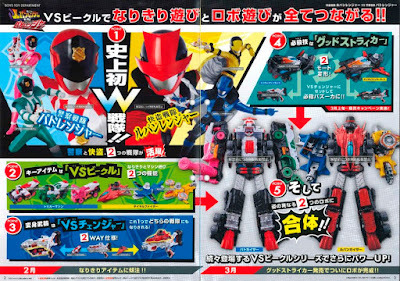 Now it's time to look at what would be a year long crossover called Patoranger vs. Lupinranger. I got these details and images from JEFusion. Here's the first impression which shows us the two different teams. What do I think? Well, the for first time is a completely new different trio color with red, green and pink with the Patorangers. 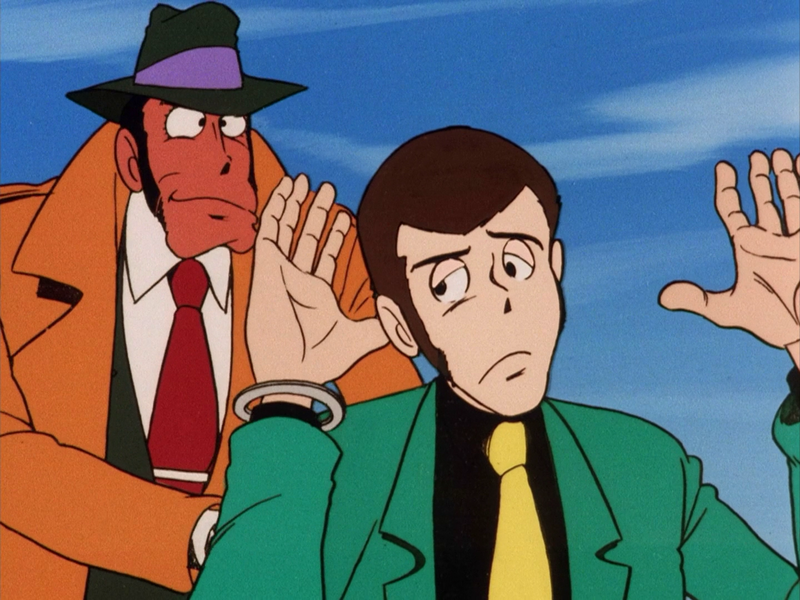 The Lupinrangers have the traditional red, blue and yellow trio. Both teams will have their own individual combining robots. I'm getting a bit of retro feel for both. 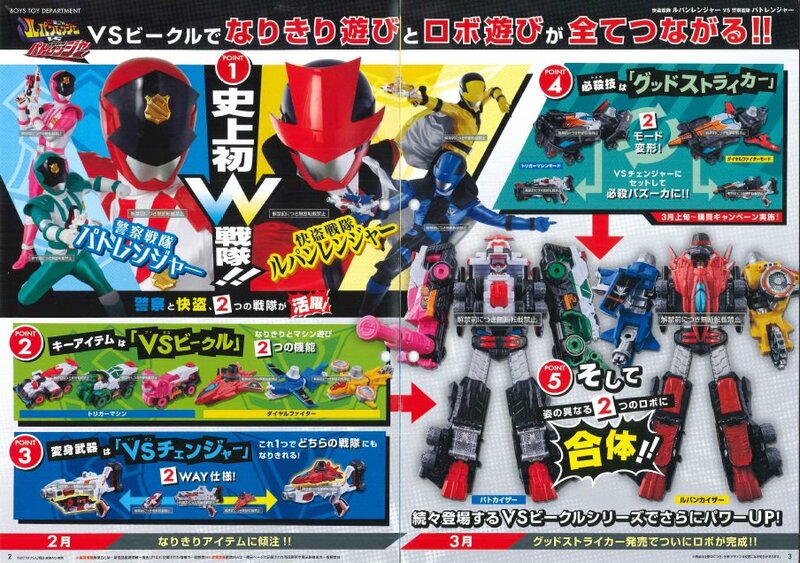 One looks like a tribute to Dekaranger Robo and the other may remind me of Dairugger XV. I'm wondering if we'll end up seeing both robots combine together in the future. Here's a bit of the weapons merchandise. So far, I think the toy quality may not be as good as Kyuranger IMO but it does have the cool look required of both sides. It's nice to see Bandai Japan continuously carrying out kaizen principles to keep a genre alive. Right now, there's even a list of rumors which as said, it's time to be careful because many of them may not be true or are probably still subject to change from the producers. After all, no innovative thinking is without a lot of proposed planning done before the final product is completed. I hope that this rumor is true though as said, it's always best to get some table salt with dealing with Rangerboard or any forum for that matter. We've had a rumor mills for years without any real evidence. But I hope that it's true that the idea of a world separated into the two spaces. One space where there's good cops and the other place where police are the villains and the Lupinrangers are like Robin Hood. I wonder how this new season will turn out to be. I'll just wait for now since I now prefer to blog by react to updates than to give updates. Hopefully, I'll get more updates of the upcoming Super Sentai season to give my opinion about.